Several emergency shelters in Santa Clara County will stay open for an extended time due to an inclement weather period expected to last through Thursday. Snowfall this week in areas as low as 1,000 feet, including the foothills around San Jose, low temperatures and rain have put several unsheltered people at risk. Daytime warming centers are open at libraries and community and senior centers around the county. Overnight shelters operated by HomeFirst are available at the Bascom Community Center, Leininger Center and Roosevelt Community Center. Most inclement weather shelters offer meals, showers and supportive services. Eleven of these locations are open in Gilroy, East Palo Alto, Mountain View, San Jose and Sunnyvale. A full list is available at http://bit.ly/WarmCenters1-2-2019. Nighttime temperatures are expected to drop below 40 degrees during the inclement weather period with a 50 percent chance of rain and the possibility of more than two days of flooding. 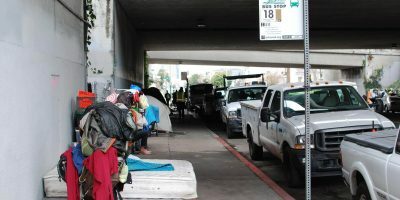 Those in need of emergency assistance from health and human services can call 211, from the Santa Clara County Office of Supportive Housing at (408) 793-0550 and from HomeFirst at the homeless helpline at (408) 510-7600.